Cojarec® bvba and Beta-Ride® Pro-Equestrian Services Ltd. working together to secure a safer environment for horse and rider, Inspired by the work of Dr Sarah Jane Hobbs University of Central Lancashire, and Danielle Holt MSc Thesis on sand and fibre arena surfaces. Cofibre® Stabilising fibre, a blend of mixed length, cut, Polypropylene fibres consisting of 100% new material. Beta-Ride® Stabilising fibre, a blend of mixed length, cut, Polypropylene, Polyester and Nylon fibres consisting of 100% new material. Beta-Ride®+ Stabilising fibre, a blend of mixed length, cut, Polypropylene, Polyester, Nylon and Lycra fibres consisting of 100% new material. Sand grains vary from angular to round. The rounder the grain the less tightly the grains fit together.  The more round the sand grain the more it will move and give less traction. Sub-Angular grains compact less than angular grains yet still allow good traction and drainage. When selecting natural sand, you need to request magnified pictures of the sand and select the most sub-angular available. Whilst fine Silica sand with particles ranging between 60 sieve and 200 sieve are the most desirable, cost and supplier location often exclude this option. Sand promoted as arena sand needs to have a graded range size of between 60 sieve and 200 sieve particles with about 7% below 200, to ensure this percentage use sub-angler sand, some sands have a clay content this type of sand, with a small clay content can be an advantage in retaining moisture in areas where the natural properties of the soil are free-draining or sandy. Crushed quarry stone called fines or Duff usually ranging between angular to sub-angular in shape with sizes 10 sieve to 50 sieve, the particles are sharp and will compact tightly.  If used alone, being softer they break down into dust sooner and should be avoided if at all possible. Surfaces consisting of other types of sand benefit from using Beta-Ride®+, the addition of fibres will enhance the riding surface, providing stable footing and giving energy return for the horses. Silica Sand (very fine angular grains for good compaction yet assisting drainage). We recommend that your sand riding surface be a minimum of 15cm (6″ depth) before installation of the fibre. Racing gallops: 2.5 kg to 4 kg per square metre surface area of sand. 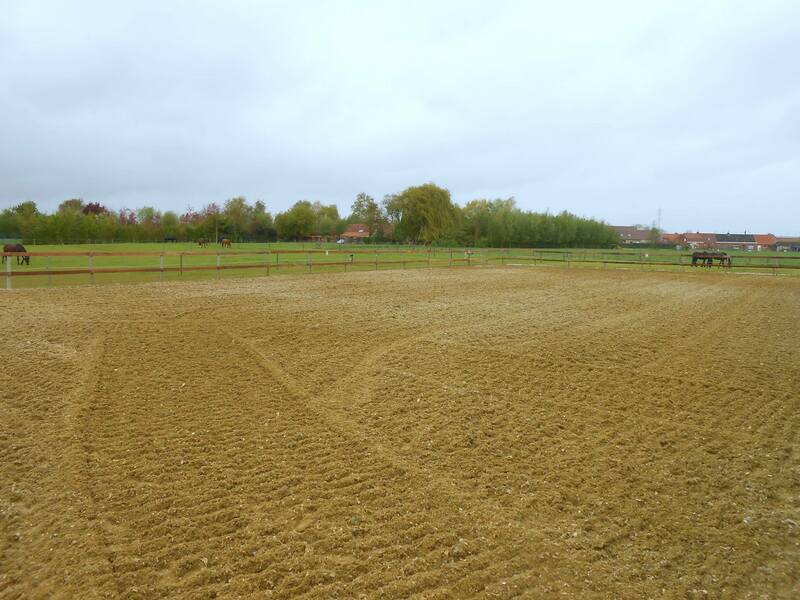 Showjumping and dressage: 4kg to 5 kg per square metre surface are of sand. The sand and fibre surface is best maintained by a maintenance harrow, (consisting of harrow tynes and compacting rollers), operated on the ball-hitch of a ATV/UTV or the 3 point link of a tractor. 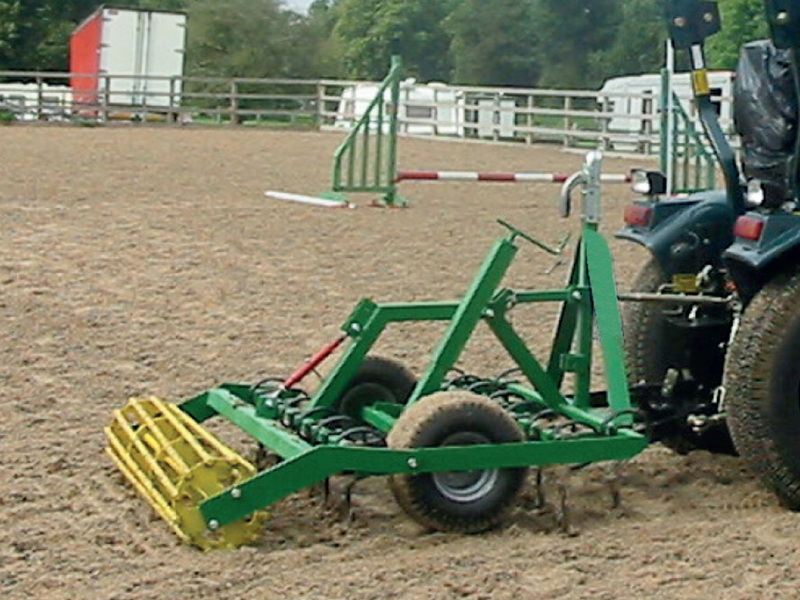 With the ever increasing participation in horse sports the demand for artificial surfaces has increased dramatically, this consumer-led market has increased the number of manufacturers offering arena surfaces ten fold, sadly there are currently no regulations or guidelines on materials offered for sale, with performance and safety not featuring very highly with a large number of these manufacturers. The implementation of safety checklists for human sports may be responsible for the significant decrease in the number of injury related insurance claims recently made (Swan et al., 2009). The equine industry must be made aware of the positive impact the safety guidelines have had on the various human sport associations. The development of equine industry standards on surface properties that take into account the preferences of the rider, will ensure consistency among surfaces under a range of conditions, optimise performance and minimise the risk of injury (Setterbo et al., 2009). Awareness must be raised on how factors such as moisture and the degree of compaction affect the hoof-surface interaction so the industry can strive for a surface that combines performance and consistency with safety. How would I know which Cojarec Fibre to use in my Arena? When you have decided which sand type you are using or what sand you have in your arena, Beta-Ride® Pro-Equestrian Surfaces will advise which fibre mix is best suited for your arena. Why does it matter about the different mix and size of fibres in Cojarec products? 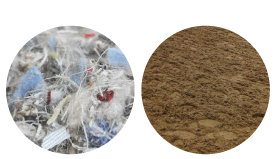 It matters because the properties in these fibres work in different ways when mixed with differing sand types, also if these fibre mixes contained any organic matter, in a very short time these organic materials would rot, break down and destroy the balance of your arena. What is different about Cojarec fibres from cheaper fibres available?  Cojarec fibres use no organic materials in their products neither do they contain any unknown materials, this enables Cojarec to control the correct amount of Polypropylene, Polyester, Nylon and Lycra in their different products. Cojarec Fibres are cut to ensure consistency in the various fibres sizes they produce Cofibre®, Beta-Ride® and Beta-Ride®+. Are Cojarec Fibres recycled materials? Cojarec Fibres are 100% new product manufactured to the highest standards in Belgium meeting OVAM standards. How can I find out what sand is in my existing arena? Send a small sample of your sand in a container to Beta-Ride® Pro-Equestrian Surfaces who will check this for you. Do I need specialist equipment to install Cojarec fibres? Cojarec Fibres can be installed using equipment hired from a DIY hire shop, Beta-Ride® Pro-Equestrian Surfaces are happy to give advice and useful tips in installing fibre into your arena. How are Cojarec Fibres delivered? Cojarec Fibres are delivered in circa 300kg bales on pallets, if you do not have access to mechanical handling equipment. If requested fibre can be delivered by a lorry equipped with a tail lift. 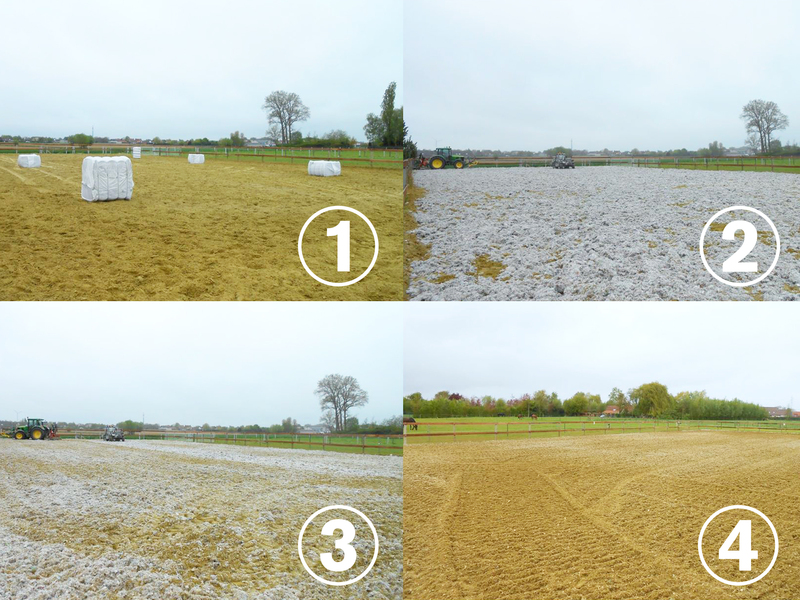 However you will require help positioning the bales onto the arena before spreading and mixing into the sand. Do Beta-Ride® Pro-Equestrian Surfaces install arena’s? Beta-Ride® Pro-Equestrian Surfaces do not install arena’s, however we work with our associate equestrian installers who we are happy to recommend. Are Beta-Ride® Associate Equestrian Installers reliable? Beta-Ride® only recommended Equestrian installers who are true professionals with years of experience installing quality fibre surfaces. Fore More Information Get In Touch Today!